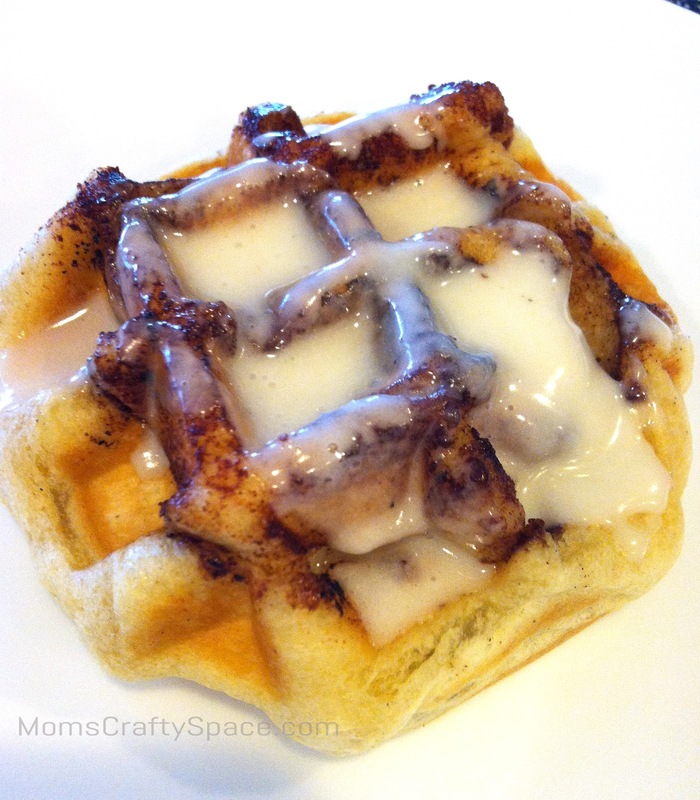 I’ve been making muffin mixes in waffle form for years now, so I don’t know why it never occurred to me to do the same thing with Pilsbury cinnamon rolls until I saw it on Pinterest the other day. 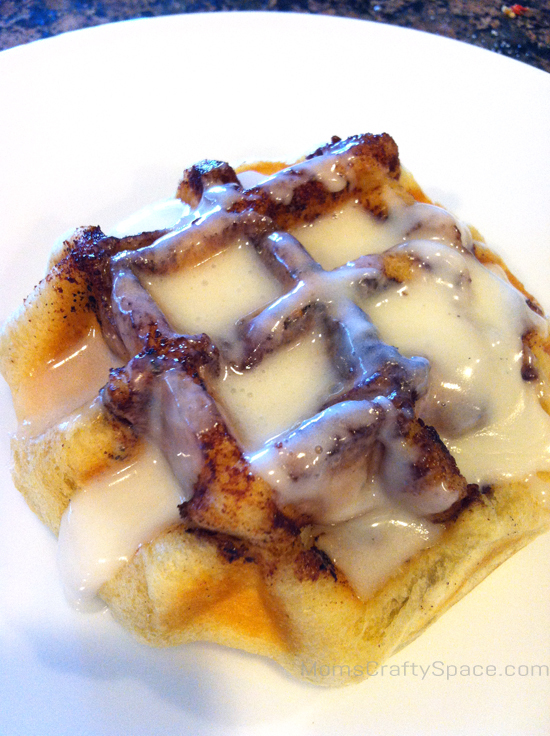 Just heat up your waffle iron, pop the cinnamon rolls into the wells (one cinnamon roll per waffle), and cook for a few minutes. Keep an eye on it so that the cinnamon sugar doesn’t start to burn since it can happen rather quickly (don’t ask me how I know that). Easy peasy! Pure genius, I tell you. 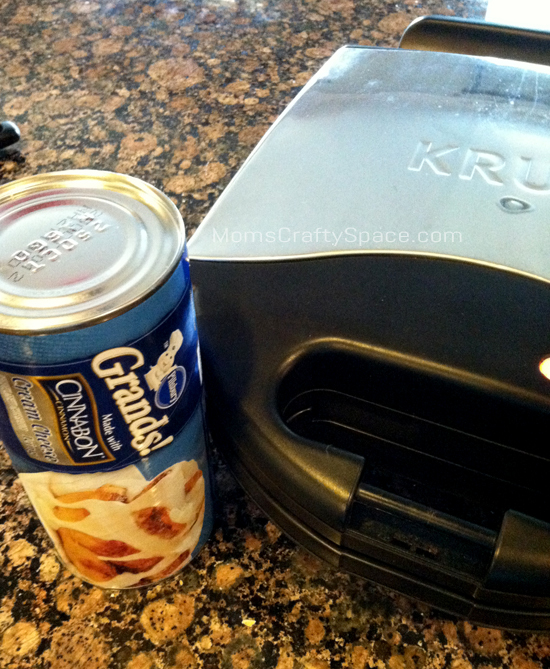 You can’t beat five minutes from start-to-finish for a special Sunday breakfast. Next time I’m going to try this with my homemade cinnamon roll recipe and see how well it works. P.S. Sorry for the less than awesome iPhone pics…half of our family is down with a really bad cold and laryngitis, and I didn’t have the energy to rush back upstairs for my camera. Eh, it’s the idea that matters, right? My husband is drooling… Can’t wait to try these! !